Stay connected all day. 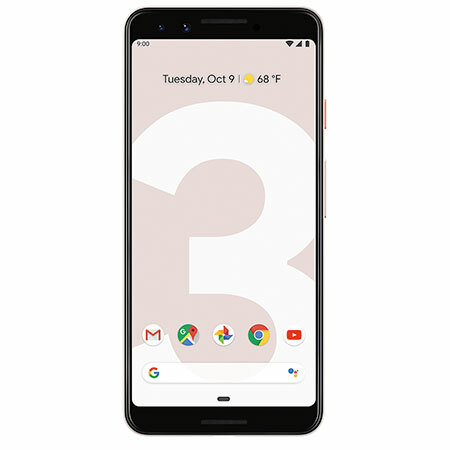 The Google Pixel 3 comes with a 2915 mAh battery that charges fast and can last up to all day. The Pixel 3’s Adaptive Battery learns your behaviour over time and limits battery for apps you use less often. Pixel 3 is also compatible with any Qi-enabled wireless charger.4 Stay organised and get help from your Google Assistant. You’ll be able to make a shopping list, get commute times, weather info and more - all with a simple squeeze, or just by using your voice. Capture smiles with Top Shot, that works with the dual 8 MP selfie cameras to snap a great photo every time. Shoot Group Selfies without the selfie stick and frame portraits like a pro with Portrait Mode. Enjoy Google Photos that gives you free, unlimited online storage for all your original quality photos and 4K videos captured on the 12.2MP rear camera. Use Google Lens to search for information using your photographs. Play with life-like AR stickers for your photos and videos. Super Res Zoom keeps your pictures sharp when you zoom in. Be mindful of your screen time use. 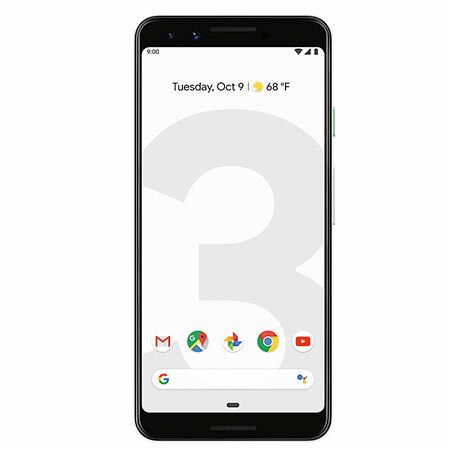 The Google Pixel 3 will understand how you use your phone and track the time you spend, setting timers to shut off apps to avoid overuse. Easily silence calls, simply flip over your Pixel 3 to silence notifications. Ask your phone to “wind down” and your Pixel 3 turns on Do Not Disturb and switches to grayscale. Keep your data protected with Titan M, Google’s security chip built especially for the Pixel 3 to secure your passwords and protect the latest Android 9 Pie + Google Assistant OS. The Pixel 3 is powered by the Qualcomm Snapdragon 845, 4GB RAM and 64 or 128GB of internal storage. See more on the fullscreen 5.5” display, FHD+ flexible OLED at 443ppi. This handset is covered by a full 24 month warranty..